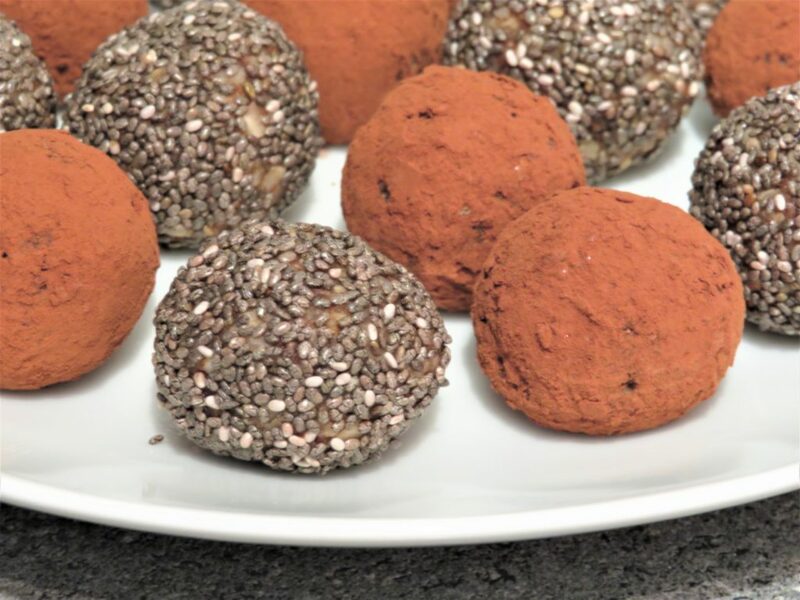 Sometimes you fancy a treat without eating unhealthily and these protein balls are tasty are perfect for such an occasion. They are simple to make are great to have on the go or when feel a little peckish in between meals. 1 Place all the ingredients in a food processor and blitz until it all comes together. 2 Then tip it all into a bowl. Break off small pieces and shape into balls, then place on a plate. 4 Then removed from the fridge and roll half in the chai seeds and half in the coco powder. 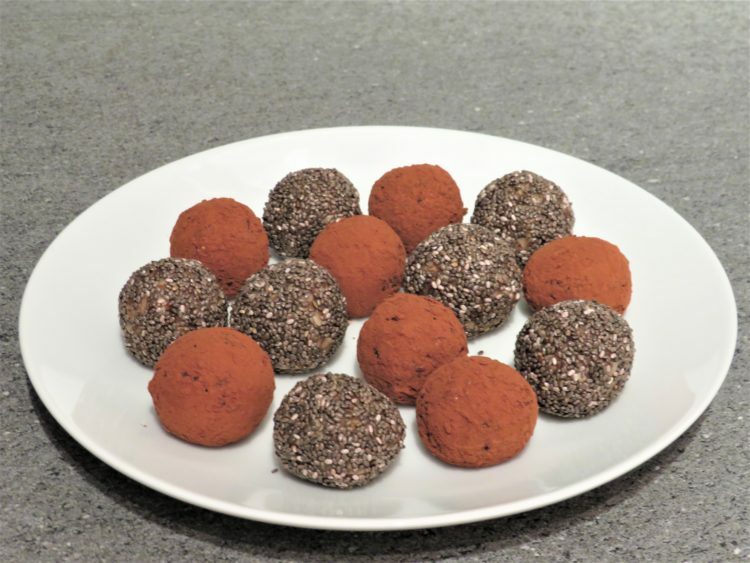 5 Place the balls into two air tight containers with all the coco coated together and the chai seed coated in the other. They are ready to enjoy whenever you want. Coconut is an excellent source B-complex vitamins as well as copper important for red blood cell production, calcium, iron, magnesium, zinc important for growth and development, potassium and protein. Chai seeds are a great source of omega-3, fibre, protein, lowers cholesterol and contain anti-oxidants.